And I'm back! 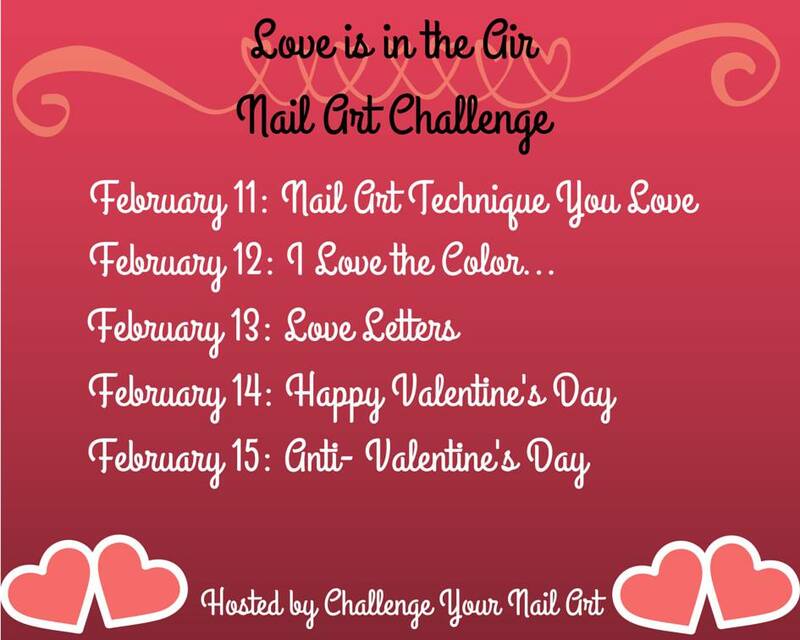 As promised here's the second look for today, fill two for the nail art challenge I'm taking part in hosted by Challenge Your Nail Art. The theme for the second day was a colour you love and currently the colour I love the most is grey! I decided to use a new-to-me grey in combination with a lovely Bundle Monster stamping plate I was gifted by Nail Polish Canada for the season. :) Check under the cut for more details! The grey I chose as my loved colour is Essie Armed and Ready which is a grey with a hint of gold shimmer. It's one of the polishes I picked up during my recent run to Target for their clearance sales (sad face) so I was excited to be able to use it so soon after buying it! I'm really happy with this look overall. 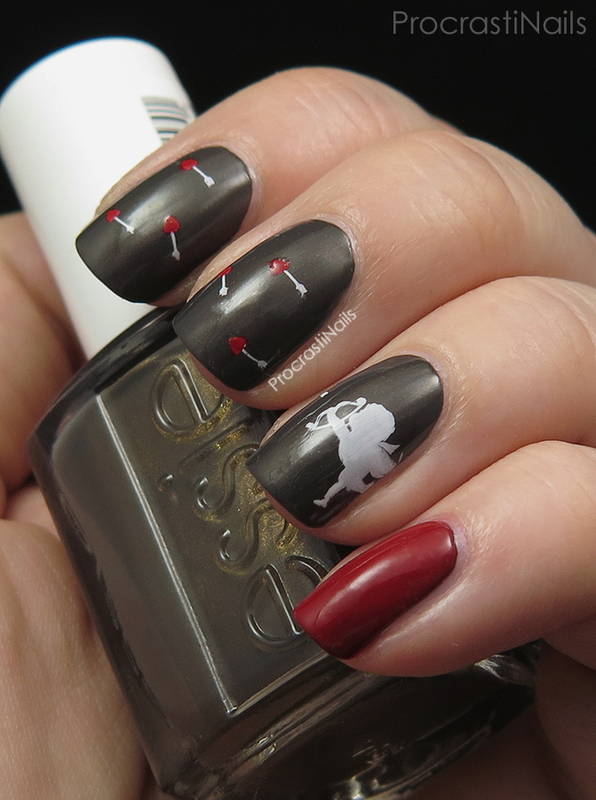 I was stumped right after I did my white stamping with trying to figure out what else the mani needed to be complete but I think the red was the perfect finishing touch. Aww, this is cute! Simple, but fitting. Happy Valentine's Day! These are awesome!! That grey polish is beautiful! Awwwww I love this! So super cutie! This is adorable! Such a cute cupid! Holy frijoles! 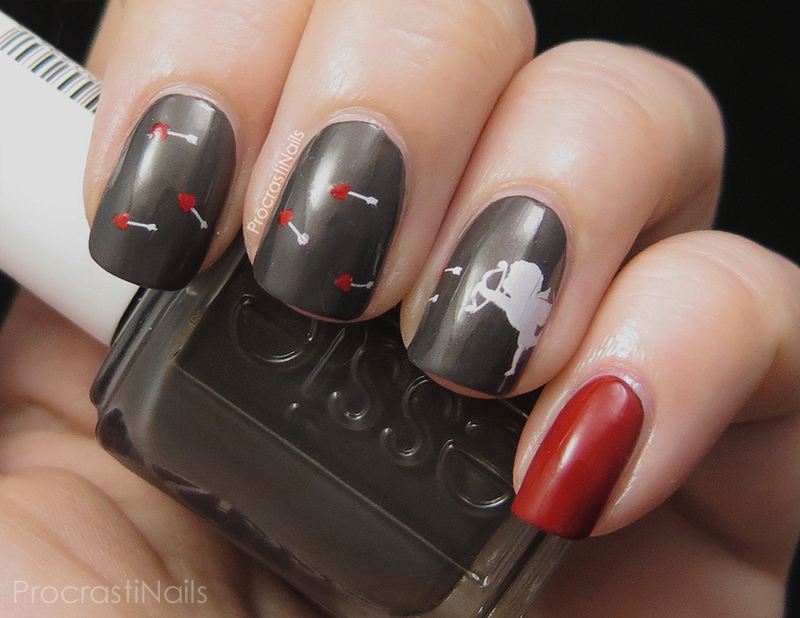 I am so envious of your stamping abilities! I can't stamp to save my life. That little cupid is adorable. The matte effect is really nice here! Wow, it's perfect! 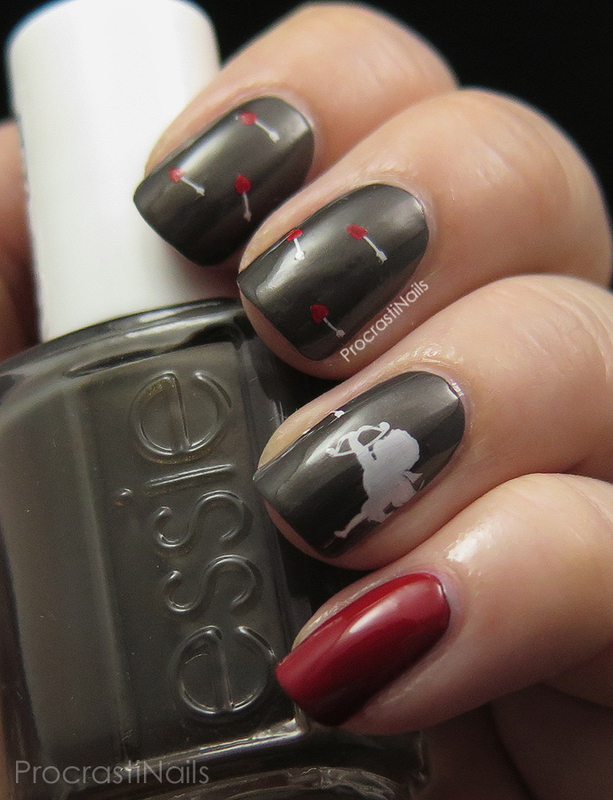 Not your typical Vday mani, which I love! So adorable with those little arrows!